Successful weight management and good health is achieved through diet, exercise and behavior modification. 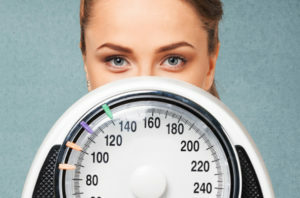 At Ideal Reflection Medical Spa, we know that the safest and most effective way for you to control your weight is through a program custom designed specifically for you. We start with our personalized initial medical assessment. All our patients are pre-screened by performing lab work, which is reviewed by our physician prior to starting Weight Loss Program to ensure you are a healthy, ideal candidate for the program. The Ideal Protein Weight-loss Program is a muscle-sparing and fat-targeting diet, without the use of drugs or exercise. Ideal Protein is a powerful, temporary medical treatment that has a beginning and an end. It is NOT for the rest of your life. Medical weight loss treatment ensures that you lose the weight you need to lose in a manner that is healthy and positive for your health. This medically-supervised program can help maintain muscle, promote fat loss and naturally suppress your appetite. It is scientifically engineered with proven results; it regulates insulin production, blood sugar levels and can help reduce cholesterol levels and obesity related medical problems. Ideal Protein features delicious gourmet meals–sweet, salty, soft or crunchy–there’s a taste and texture for every palate. Our results are predictable and repeatable–the Scientific Gold Standard of Medicine. Try our health weight loss recipes. We have hundreds of the best free Ideal Protein recipes on our Facebook. For more information on our weight loss program click here.